The previous posts had two sections, but this is all about a single topic: outlines. I mention my middle-grade mystery here because this post shares my original outline. This provides some insight into the writing process. Well, that’s my goal. How important is an outline? It is crucial. Crucial, that is, if you want to write well and stay on track. Why? Writing is the communication of ideas through printed (whether on a screen or on paper) words. Even a book is an idea. 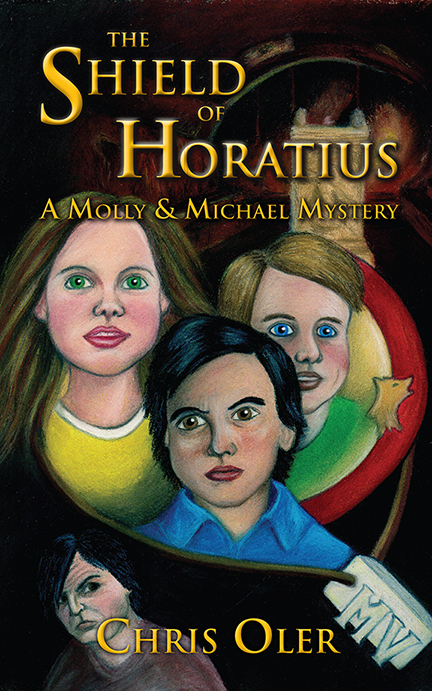 The Shield of Horatius started with this thought: What if an artifact of a legendary Roman hero survived to today? Several questions and ideas sprung from there: how could it happen? How do we navigate Roman history to make it plausible? How could it be found after millennia? Why was it lost? How long has it been lost? See a need for organization? No question, but many of these questions were answered as I wrote, not before the writing started. Before the writing started, I made the most simple outline possible. Basically, I created the Table of Contents (TOC). Below are both my original TOC and the final version that appears in the books. It was that simple. I referred to the eleven items as the book developed. Other writers create much more intricate outlines. Do what makes you feel most comfortable. My preference is leaving things loose so there is plenty of room for change. Clearly there was change here, two chapters are crossed out. The first was “A Shadow in the Hall.” It was my original intent to have Chapters Four, Five, and Six occur in the same location. At some point I realized it would slow the story down, the pacing would be far too slow. So Chapter Four remained where it was, and Chapter Five happens in a location a few blocks away. The characters move as the story moves. The second editorial change was deletion of “The Golden House.” This is a reference to the huge residence Nero built called the Domus Aurea, Latin for “House of Gold.” I wanted the characters to visit, but there were two problems. First, the house was lost for a long, long time. When Nero was killed, the people hated him so much they buried the house and drained the artificial lake next to it. The site of the lake, by the way, is where the Colosseum stands today. Nero’s death came just four years after the house was built. A second problem was an actual visit to the Domus Aurea is difficult because the site isn’t stable. Restoration work is underway and part of the site reopened at the end of last year, but it was closed when I wrote the book. Both of these factors meant the house was not a plausible location. Reality sometimes interferes with creative choices. Chapter Eleven is still there on the pre-writing side, but, unfortunately, the Pantheon is only discussed in the book, not visited. The reason for the visit was problematic because the Pantheon is today a functioning Catholic church. So I used the location secondhand and with pretty good results, but not until Chapter Thirteen of the actual book. I encourage you to do a simple outline, even if you usually make detailed preparations for writing. When you write, it should be fluid. If things go well, the story flows. That is not to say it cannot be done another way, it just makes any new decision much more difficult. For example, if you come up with a brilliant change to a character or scene in the beginning or middle of your book, then everything else must shift to accommodate the change. How willing will you be to make the change? Leave it open and trust your writing instincts. Do it your way, but make sure you do it. Even the most basic outline gives you a path. When we travel, we don’t note all the streets we drive past. Instead, we mark the turns. We do that because the turns are significant. If we know the map well enough, we might even think of an alternate route, and might be forced to do so if we come upon a closed road. Flexibility is important to reaching the end of the journey. Thank you for taking a few moments! Please share your thoughts on outlines. 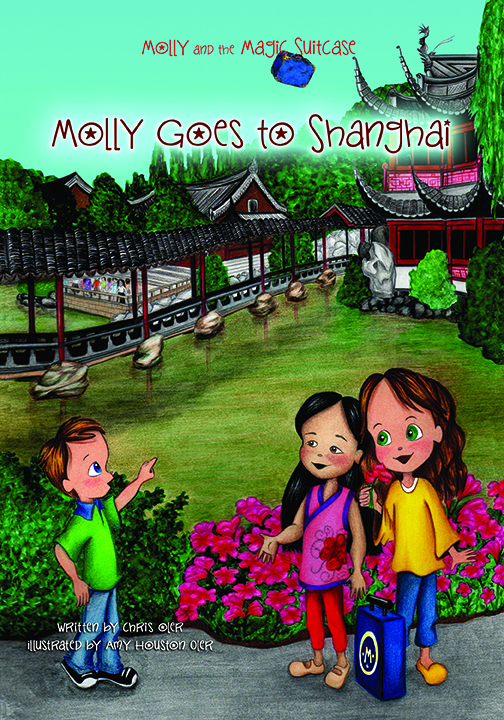 We have a prospective cover for Molly Goes to Shanghai. In the next couple of days I’ll have the first draft of the story. 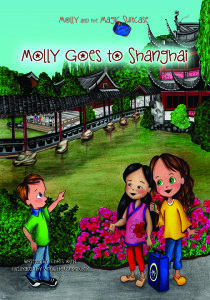 Possible cover for Molly Goes to Shanghai. It depicts Yuyuan Garden. It’s an interesting process. It takes good research to get to this point because we already have the outline for the story. Writing the draft isn’t about structure, but about finding the voice of the characters, particularly the friend Molly and Michael meet in Shanghai. Her name, by the way, will likely be Li, named after one of our contributors. We compiled a good amount of research, as I said, to get this far. Even with that, I know much more is ahead. It is not enough to know the locations we show in the book. A local makes references to other places, uses local nicknames, and his or her speech is sometimes influenced by a local dialect. In the case of Shanghai, “dialect” doesn’t cover it. Shanghainese, the local language, is unintelligible to speakers of Mandarin Chinese. This brings up one of the questions we face: do we use Shanghainese in the story or Mandarin when we introduce bits of language? This is where our interviews are important. What we learned is that Shanghainese is mostly used by older residents and used in an exclusive way, meaning it is used to exclude others. Younger people in Shanghai speak some Shanghainese, at least enough to converse with their elders, but mainly use Mandarin in work and school situations. Our decision was easy. The story will introduce bits of Mandarin Chinese and this is another area where more research is required. A formal essay should contain no personal references to author or the reader. This is mainly for our younger readers, though it’s a tendency some carry for some time. This is the sixth rule in my Five Six Rules of Writing on the About page. The rules aren’t anything new, but nothing was referenced when the list was created. For serious writers, similar suggestions or warnings are given in The Elements of Style by William Strunk, Jr. and (originally) E. B. White. The list also borrows inspiration from George Orwell’s essay “Politics and the English Language” where he elaborates on the dangerous principles behind Big Brother’s “newspeak” from the book 1984. The essay is more than 60 years old and more important today than ever. When school writing assignments get longer and longer, five-paragraph essays and more, there still isn’t much distinction between formal and informal writing. That’s absolutely fine. As a teacher, I wanted to see the quality of ideas more than the quality of writing, but I also wanted to see progression on the writing side. Many English teachers do not approach their craft from the writing perspective. They concern the students more with analytical tools for understanding literature. If one has to judge, I would probably agree that is the more fun side of teaching English. I enjoyed it, but gave my students a heap of writing instruction, including diagramming sentences. I’ll explain the importance of some of these things in later posts, but for now, let’s talk about formal writing. “I think,” “I believe,” or “in my opinion” diminish your points. I think the Governess was insane (Turn of the Screw reference). Be assertive. The Governess was insane. Well, the author, Henry James, did not write the story with the belief the Governess was insane, though it really doesn’t matter for this example. Besides, the essay is about your ideas. Even so, unless you’re quoting something, the pronouns “I” and “me” should never appear. Don’t remind the reader (teacher) that this is the work of an 8th or 12th grader, or college sophomore, strengthen your viewpoint by making your voice as formal as you can. “But,” you say, “you don’t write with formal language here!” Yes, you are right. I want to connect in a different way here, and I don’t want to bore the heck out of you. Here I constantly reach out to “you” and talk about me. If this were formal writing, I would do neither. That is because the star of the essay must be ideas, not writing. Writing at its best isn’t even noticed. The ideas (or the story) take over the reader’s thoughts. That is when a real connection is made. This is a fresh start. All of the past blog material is gone, so I get a chance to start again. What shall we talk about? I Remembered My Rules of Writing! 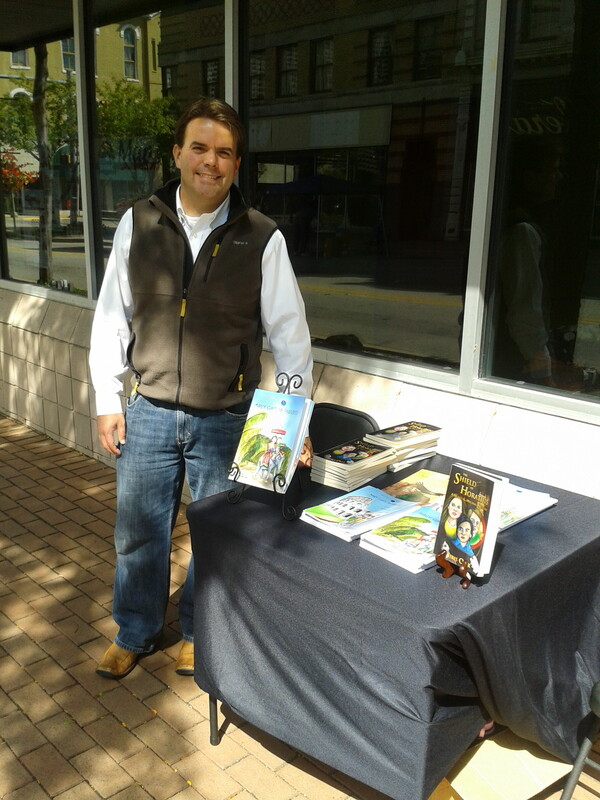 Click here to open a new tab for my About page and you’ll find my Five Six Rules of Writing. For the life of me, I could not remember these for the old site. Okay, it’s time for a brief backstory. Just adding a visual. This is from a fall event two years ago. I started full-time work as a teacher in August of 2007. There was a need to add a bit to the classroom’s bare walls. One of the first items was a half-page flyer with the original Five Rules. There is a vast digital archive of the documents created during my four years as a teacher, but somehow the Five Rules weren’t there. Something aligned as this site went up. In addition to the first five, a sixth is present for the benefit of college admissions essay writers, which includes many, many teens. It was my privilege to help many students with these essays. These essays also revealed writing tendencies, which brings us to the next topic. There are other breakable rules I use. One in particular is to never start a paragraph with a dependent clause. This is more of a style thing, but it goes against the conventional wisdom of some English teachers. This practice was, in fact, encouraged. The college essays I read used this structure early and often. My main reason for opposing this is the tendency for abuse. Once abused, it creates a cadence that lulls a reader to sleep. Think about the way your mind reads such a sentence. The voice travels up as you read the opening (dependent clause), and then descends, resolving both the sentence and the descending notes, whether spoken aloud or not. Up and down, repeated, like a soft ocean swell…that…zzzz. A little secret from voice work: when reading a text, you always end sentences on an up note to keep the listener’s ear engaged. The brain expects more. That’s another trick about a sentence that uses this structure. You cadence up, resolve down and most of the time we’ll do this in our heads as we read. But if you resolve down, how do you add the up note to keep the reader listener interested? Well, I guess you ask a question like I just did, but that can’t be done every time. Here is the key: Don’t make your reader wait for information. If a clause is created and its full meaning revealed later, I risk a loss of comprehension. Yes, the previous sentence’s structure was intended. All those words and I could just say, “I risk losing readers if my style choice distracts.” It’s not about economizing words; it’s about communicating meaning. Writing is all about sharing. Your goal should be clarity. That is why a fiction writer edits a manuscript to remove everything that does not advance the story. Fluorish wins points with some, but it bores readers who want the meat of the your message. They want to know what you have to say, not marvel at how you say it.